Alex and I went bowling a couple weeks ago at the one bowling alley we could find, and we had a great time! 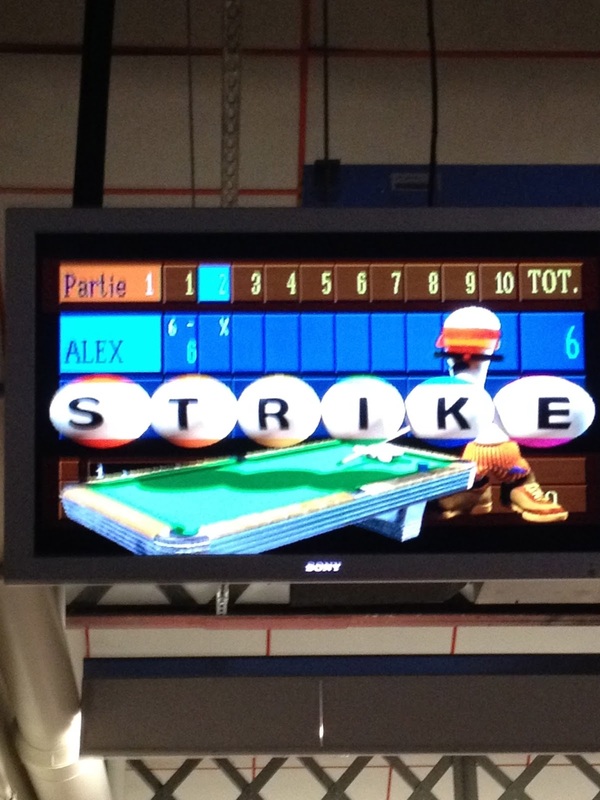 However, I will say that the Lyonnais don't seem to understand bowling etiquette very well. Someone (i.e. ME) needs to educate them on the proper, polite way to engage in this entertaining activity. 1. Do not hog the balls. As you can see, every single lane in the alley was FULL of bowling balls. 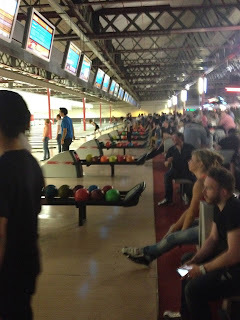 That is why, when I was searching for a ball to use, I had about 2 at the end of each lane to choose from. There were so many balls in these lanes that the balls they were using couldn't come all the way out of the return - they were blocked by the balls already there! PEOPLE: if you're not using a ball, bring it to the stands at the end of the lanes. They are there for a very good reason. 2. Do not impinge on another bowler's turn. These gentlemen who were using the lane next to us had no respect for the other bowlers around them. Not only would they take pictures and videos of themselves bowling (masters of the game they were not, by the way), meaning that they were taking up space in front of the surrounding lanes, but they would also approach just as I or Alex were pre- to mid-throw. So impolite. We ended up getting in a rhythm of just waiting for them to go before us, so we weren't interrupted during our turn. So I guess I only have two points, which doesn't really necessitate using a list format, but it just felt right so I'm sticking with it. 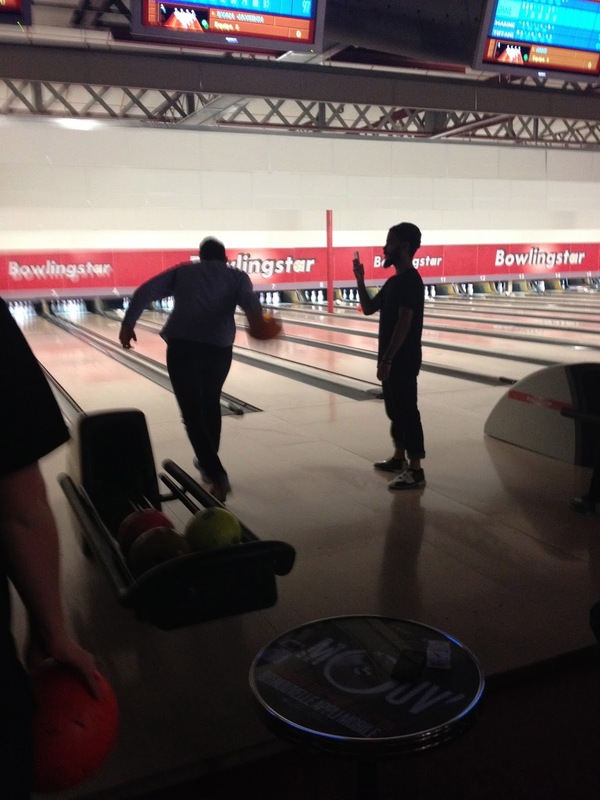 At the end of the day we still had a good time - we both got some good throws in too! - so I would definitely go back. Although I wish I could guarantee that a 9 pound ball would be waiting for me. I'd rather not go hunting through every lane in the place.